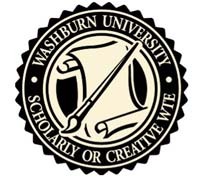 Washburn business faculty conduct programs of research in their disciplines. Whether creating new knowledge, contributing to their professions or developing new ideas and materials for the classroom, our faculty maintain their intellectual capital and share their knowledge with our students and our community. Our Business Seminar Series and Working Paper Series, both sponsored by Kaw Valley Bank, are important outlets for disseminated our research. We also honor the accomplishment of our faculty with the Kaw Valley Bank Excellence in Research Award. Students also engage in research activities in their coursework and in other programs, including the Washburn Transformational Experience Creative and Scholarly program and Apeiron. The Kaw Valley Bank Excellence in Research Award is given annually to one of the school faculty members who have made substantial contribution in research. Discipline-based research, contributions to practice, and teaching-related research all help to maintain and enrich the intellectual capital of our faculty. The 2018 recipient of the Kaw Valley Bank Award for Research Excellence is Professor Rob Hull. In the last five years, he has published 14 peer-reviewed journal articles. 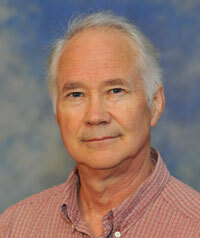 He frequently co-authors research with Dr. Sungkyu Kwak and Dr. Rosemary Walker, both Washburn business faculty. His research topics include seasoned equity offerings, hedge funds, insider trading, capital structure and retirement decision making. Working papers from our School of Business faculty are research "works-in-progress." If you are on campus, feel free to take a copy of the most recent papers from the display case on the third floor of Henderson Hall. If you would like to have an electronic copy of a past or current paper, visit the Mabee library website. The Washburn Transformational Experience program was established to provide you with an opportunity to make a difference to others or society through enhanced learning in four transformational areas. This experience will enable you to gain advanced learning in ways other than through traditional college studies. Additionally, after graduating when you are competing with others for employment, this experience will set you apart. You will be able to showcase your newly acquired skills and experience on your resume or during interviews. Employers are looking for candidates who have gone above and beyond the status quo. What will you have to offer? Scholarly or Creative Activity: Students will complete a scholarly or creative activity utilizing advance knowledge gained through independent work under the guidance of at least one faculty member. Possible options for BBA students include BU404 Independent Study in Business or BU405 Honors Research in Business or you may choose to participate in Apeiron, a forum of student research, scholarship, and creativity. Schedule an appointment with the WTE Area Director or SOBU Advisor to obtain more information regarding the Scholarly or Creative WTE. The School of Business Research Seminar, sponsored by Kaw Valley Bank, allows School faculty, students, and guest presenters to share their ongoing research and receive critical feedback. "International Trade, Internal Geography, and Non-homothetic Consumption Patterns "
"An Inclusive Approach to Regulating the Second Economy: A Tale of Four Sub-Saharan African Economies"
"On the Value of Operational Responsiveness: Does it Mitigate Firm Risk?" "Current Directions in Big Data Analysis Education"
"Corporate Social Responsibility Assurance and Earnings Quality"